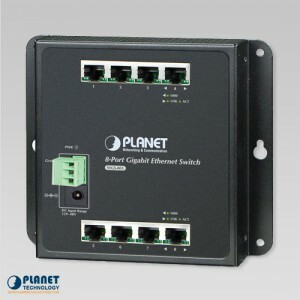 The WGS-4215-8P2S is an industrial 8-port 10/100/1000T 802.3at PoE Wall-Mounted Managed Switch with 2 100/1000x SFP slots. The unit offers a space-saving design that can easily be mounted on a wall. 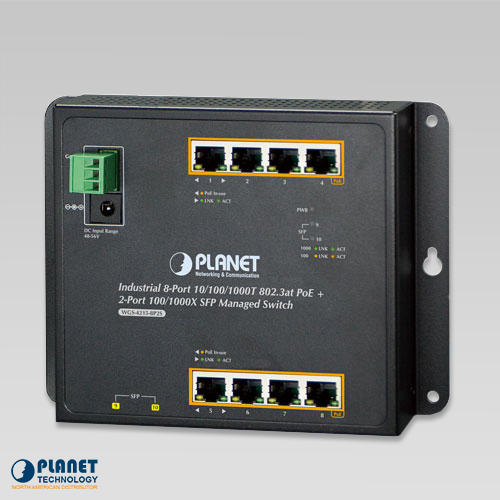 The unit is an Industrial wall-mounted Managed Switch that offers IPv6/IPv4 dual stack management, intelligent Layer 2 management functions, and an user-friendly interface. 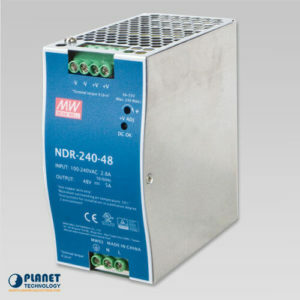 The WGS-4215-8P2S offers reliable and silent operation. The WGS-4215-8P2S can be configured to monitor connected PD (Powered Device) status in real time via ping requests. If connected PDs stop working and responding, the WGS-4215-8P2S will resume the PoE port power and reactivate the PD. The unit will greatly enhance network reliability through the PoE port resetting of the PD’s power source. 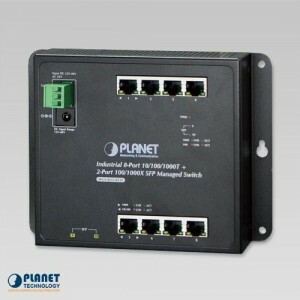 The WGS-4215-8P2S allows each of the connected PoE IP cameras or PoE wireless access points to reboot at a specific time each week. 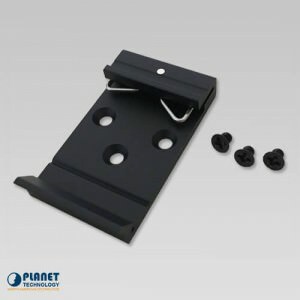 This will reduce IP camera or AP crash incidents that result from buffer overflow. The WGS-4215-8P2S is an energy-efficient device that can effectively control the power supply in addition to its high wattage performance. The “PoE schedule” function helps users enable or disable PoE power feeding for each PoE port during specified time interval. 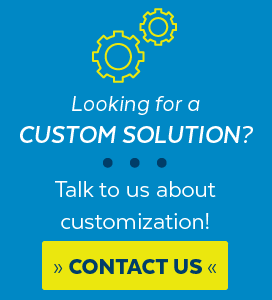 This helps SMBs and enterprises save power and resources. This feature also increases security by powering off PDs that should not be in use during non-business hours. The WGS-4215-8P2S is specifically designed to be installed in narrow environment, such as wall enclosure or an electric weak box. 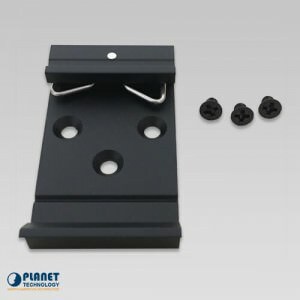 The flat compact design fits easily in any space-limited location. The unit adopts an user-friendly “Front Access” design that simplifies installation, cable wiring, and LED monitoring for technicians. The WGS-4215-8P2S can be installed by fixed wall mounting, magnetic wall mounting or DIN rail, thereby making its usability more flexible. 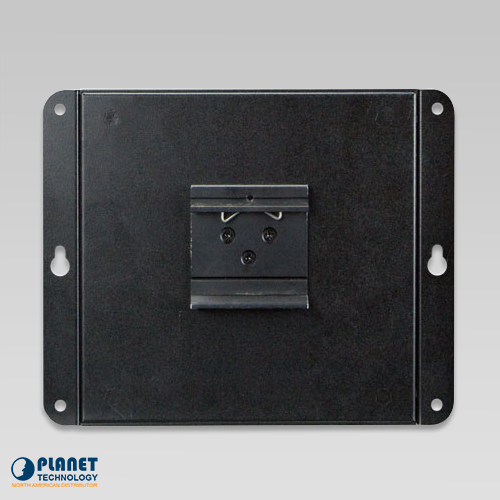 The unit features a rugged IP30 metal enclosure that provides a high level of immunity against electromagnetic interference and heavy electrical surges typically found on plant floors or curb-side traffic control cabinets that lack air conditioning. The unit can operate in temperatures ranging between -40 to 75 degrees C. The WGS-4215-8P2S can be placed in almost any harsh environment. The unit supports both IPv6 and IPv4 protocols. 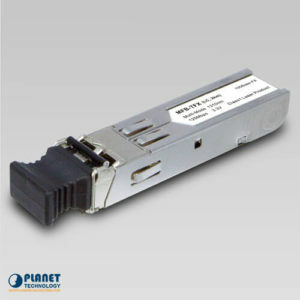 The WGS-4215-8P2S helps SMBs prepare for the IPv6 era with a low investment eliminating the need to replace or overhaul a network if the IPv6 FTTx edge network has been set up. The WGS-4215-8P2S features with robust QoS features and powerful traffic management that enhance business-class data, voice, and video solutions. The unit supports broadcast/multicast/unicast storm control, per port bandwidth control, 802.1p/CoS/IP DSCP QoS priority and remarking. 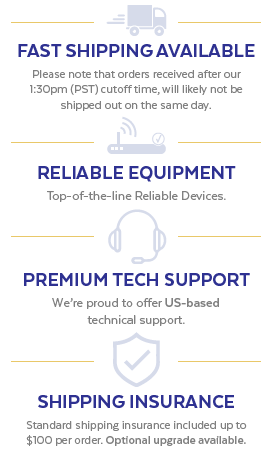 The unit ensures reliable VoIP and video streaming transmission performance and allows enterprises to take full advantage of limited network resources. 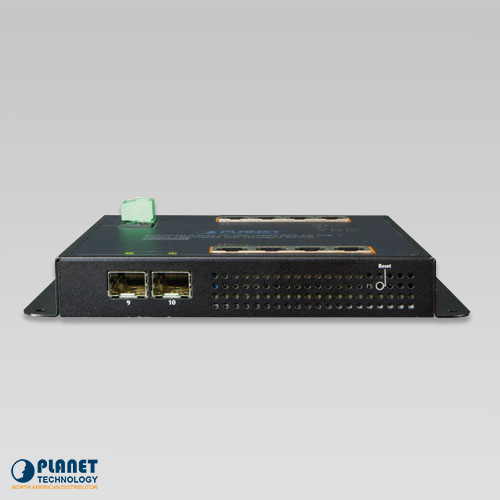 For efficient management, the WGS-4215-8P2S is equipped with web, Telnet and SNMP management interfaces. With a built-in web-based management interface, the WGS-4215-8P2S offers an easy-to-use, platform-independent management and configuration facility. 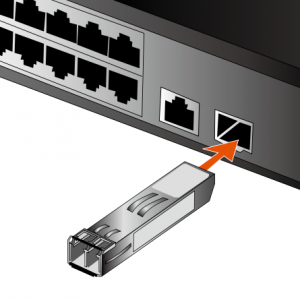 By supporting the standard SNMP, the switch can be managed via any standard management software. For text-based management, the switch can be accessed via Telnet. In addition, the WGS-4215-8P2S offers secure remote management by supporting SSH, SSL and SNMP v3 connections which encrypts packet content at each session. 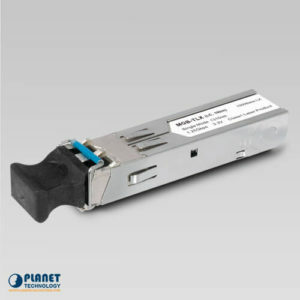 The two built-in mini-GBIC slots support SFP auto-detection and dual speed as it features 100BASE-FX and 1000BASE-SX/LX SFP (Small Form-factor Pluggable) fiber transceivers to uplink to the backbone of a switch and monitoring center located at distant locations. The distance can be extended from 550 meters to 2 kilometers (multi-mode fiber) and up to 10/20/30/40/50/60/70/120 kilometers (single-mode fiber or WDM fiber). 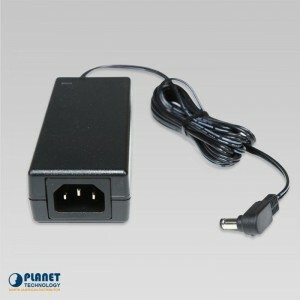 The units are well suited for applications within the enterprise data centers and distributions.